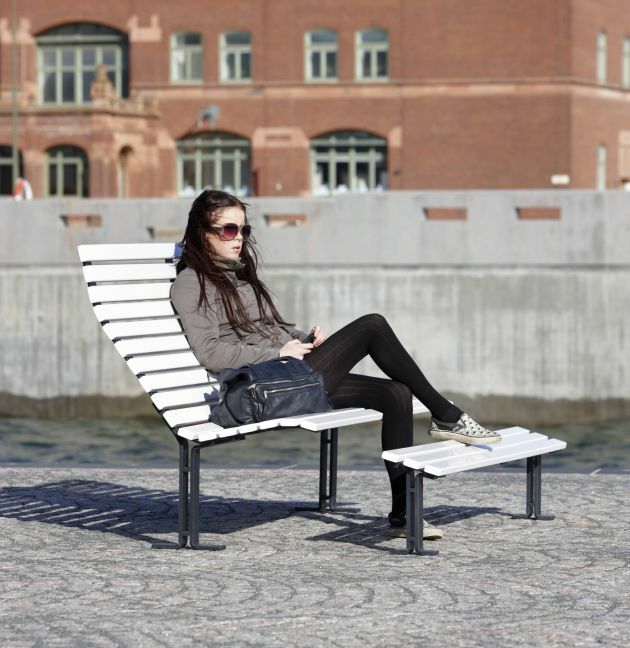 Swedish designer Thomas Bernstrand has created the Kajen public bench for the Stockholm based manufacturer, Nola. 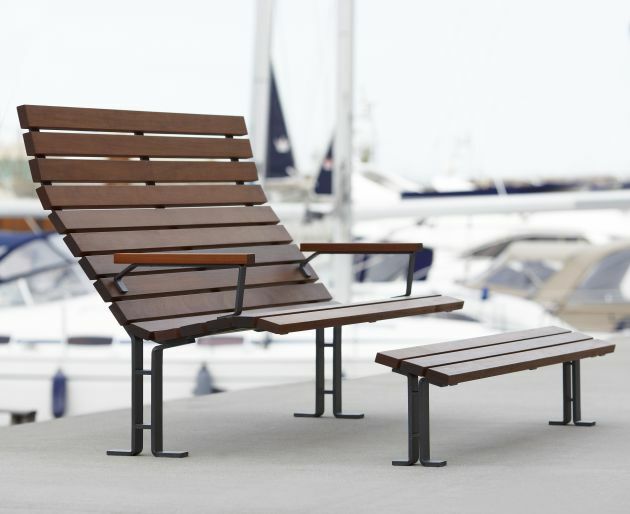 Conventional wooden slats form the seat and backrest of this undulating bench, but its design is completely unique. 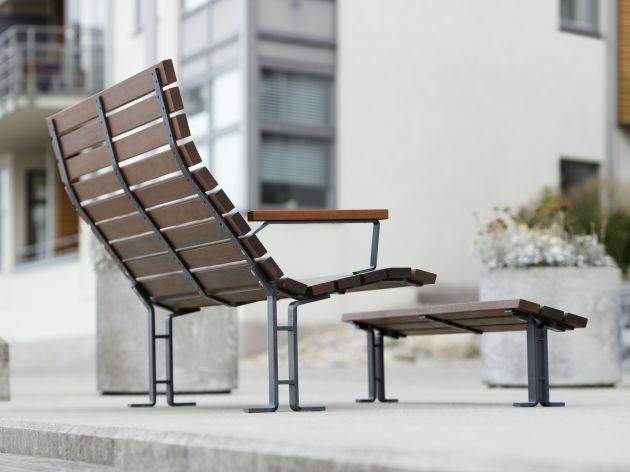 Crafted in an expressive, swooping form that balances atop three structural supports, the bench is made with maximum comfort in mind. 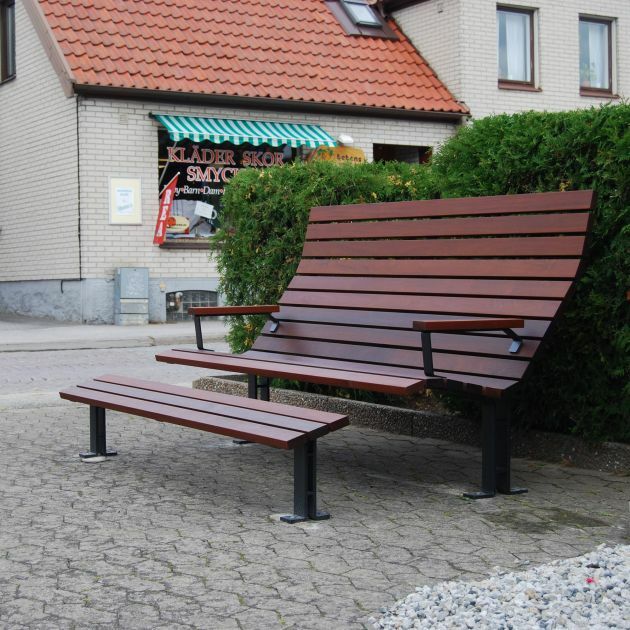 One of the first park benches to be accompanied by a footstool, the design invites those seated to put their feet up, or just sit back and relax. 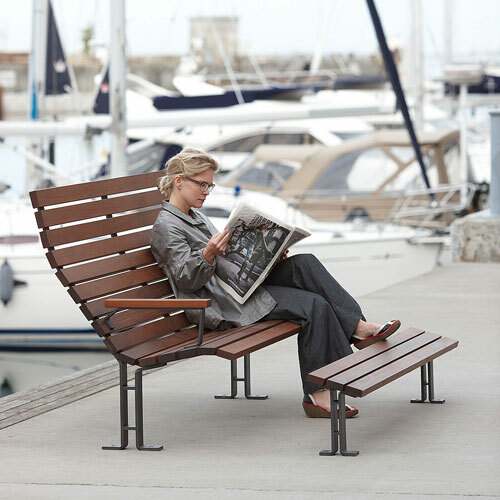 The laid-back luxury of this bench makes a unique addition to any public space.